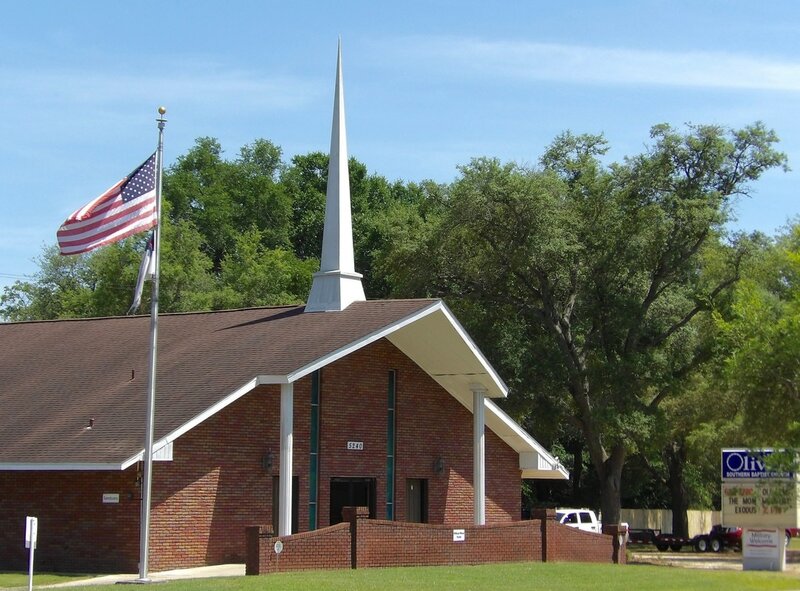 OLIVET is a Cooperating Southern Baptist Church that was born out of Ferris Hill Baptist Church in June 1964. Olivet embraces ALL the tenants of the Baptist Faith and Message. To read the Baptist Faith and Message click here. Together at Olivet, we worship God; we work for Him; we witness about Him; and we walk with Him. We provide outlets for spiritual growth for everyone : children and youth programs, adult Bible studies and Jolly Senior Fellowships. And we work in cooperation with Santa Rosa County Baptist Association.